HOW, WHEN AND WHERE did you learn the game of golf? For me, it began more than 40 years ago in the California desert. 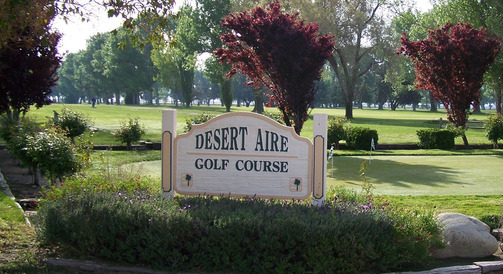 Located in Palmdale, a town of about 10,000 people in 1970, Desert Aire Golf Course was a flat, short, 9-hole public track with few distinguishing features, except for the Joshua trees that are native to the California high desert. Desert Aire was not a difficult course. Nor was it a course anyone was dying to play. It was, however, the course where I learned to play golf. For that reason alone, I loved Desert Aire because it introduced me to the game of a lifetime. It was where I spent many summer days as a teen. It was also where I spent countless hours playing rounds with my dad and brother, my friends and golf teammates. How did I learn the game? Mostly by playing, picking up tips from my dad and watching the pros on television. Like a lot of kids who loved sports, I pretended to be the players I saw on TV, copying their swings and their tempo. We now live in an era of highly specialized golf instruction for all aspects of the game and all skill levels, from beginner to tour professional. There are numerous golf schools and golf academies all across the United States. And golf equipment has continued to advance, which is especially good for the amateur, although, like others, I'm concerned when technology threatens to make golf courses obsolete. It was much different when I was growing up. I used real woods with small heads and forged irons made of steel or fiberglass shafts, always hand-me-down and used sets. I did have two advantages, though. I started playing when I was young. (There is no equivalent for starting young.) I also had regular access to a golf facility, a humble one, yes, but I didn't look down on Desert Aire. I was a happy kid who got to tee it up. As best as I can remember, I never paid for a golf lesson. Nor did I ever take a private lesson from our head pro Red Simmons or assistant pro Ron O’Connor. I did take group junior lessons. Ron would gather 15 or 20 of us on the driving range during the summer and teach us the fundamentals: grip, stance, setup and more. He talked to us, demonstrated and then lined us up to hit those red-striped range balls, taking a few moments to watch and instruct each boy. It was during one of those sessions that Ron refined my grip, the left hand in particular. In those early days, I practiced a lot. I had a little plastic shag bag of scuffed and cut golf balls that I hit to Desert Aire's lone practice green over and over and over again. I learned to hit off hardpan because that's all there was. I putted a lot. Like many kid golfers I was fearless on the greens. I made the high school golf team as a freshman. I was terrible. I fit right in. We finished eighth out of eight teams my first year. I got better. I played three more years in high school and on a community college team. Because I learned to play the game at humble Desert Aire, I enjoyed the privilege of competing at private country clubs and public resort courses throughout California. If you've ever spent time in the desert, then you can probably imagine that the wind blew hard at Desert Aire. I can assure you it did, especially in the afternoons. You had to hit the ball solidly and control its flight to have some success. I recall an unfortunate motorist traveling along Ave. P, which bordered the 1st hole, a par 5. Red's strapping son smashed a tee shot that hooked into the street and struck the windshield of the oncoming car. The man parked his damaged vehicle in the gravel lot and stormed into the clubhouse where assistant pro Ron was working behind the counter. "Somebody just hit a golf ball into my car and broke my windshield!" shouted the man. "What are you going to do about it?" Ron replied, "I’m going to tell him to turn his left hand a little bit to the left to weaken his grip." Sponsored by Bird Golf Academy. Nice story and one that got me thinking of my humble beginnings. Thanks. I hope they're good memories for you.